Chicago is the undisputed heart of the Midwest. While there are many Midwestern stereotypes that people attach to this part of the country, The Windy City encompasses the best of them. 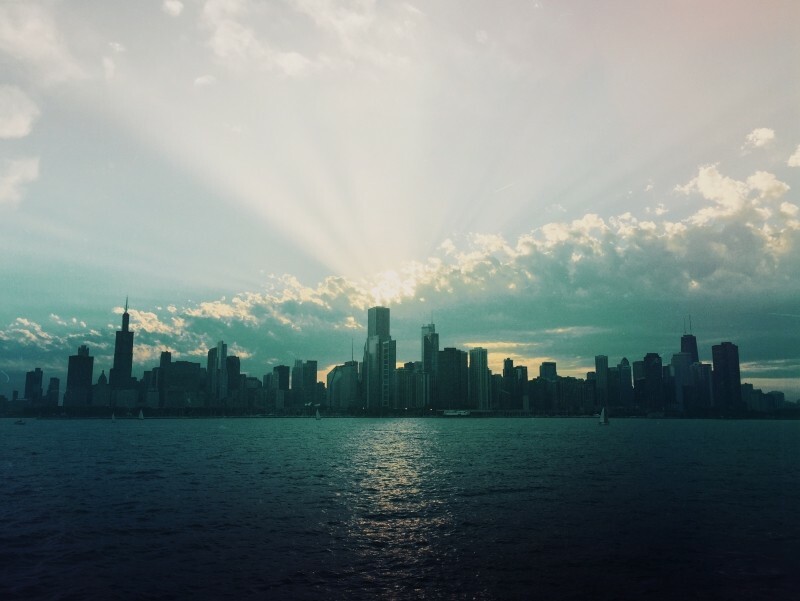 Known for its friendliness and awe-inspiring urban views, Chicago is one of the top destinations across the entire United States and is perfect for the whole family. There is no shortage of awesome things to do in this wonderful city. Regardless of how long your stay is, it’s almost impossible to see ALL the Windy City has to offer in a single go. If you’re planning to bring the family to Chicago for a fun getaway, here are five activities both you and the kids will love. As one of the most historic civil landmarks in the country, the Chicago Navy Pier is an essential American icon that everyone rolling through the Midwest should experience. Bringing in millions of tourists across the globe every year, this Chicago staple is chock-full of activities and it’s safe to say you can spend your entire day on the Pier. There are a handful of major attractions the spot has to offer. The Crystal Gardens – A breathtaking indoor botanical garden filled with all sorts of plants and trees from a plethora of climates. Located right next to the main entrance of the Pier, this six-story conservatory is great for a long, beautiful stroll. IMAX Theatre – With a screen that stretches six stories, the Navy Pier IMAX Theatre always has something awesome playing. Showings include everything from the box office hits to immersive, educational sequences. Click here for showtimes. The Centennial Wheel – If you want to catch a perfect glimpse of the stunning Chicago Skyline and Lake Michigan, there is no better place to do so than on the Navy Pier Ferris Wheel. Placed between the Pepsi Skyline Stage and Crystal Gardens, the Centennial Wheel provides one of most mesmerizing views the city of Chicago has to offer. After getting off the 150-feet tall ride, you and your family will have truly seen the jewel of the Midwest. If you’re in town for New Year’s Eve or the Fourth of July, the Navy Pier is one of the best places in the state to check out the fireworks and enjoy the festivities. 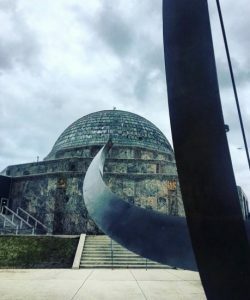 Christened in 1930 as the original planetarium in America, The Adler Planetarium is an ideal place to spend an educational afternoon with the family. This top-to-bottom resource center is will undoubtedly spark you and your young ones’ interest in space exploration with a variety of exhibits, presentations, demonstrations, and much more. The Adler Planetarium is located in Northerly Island and boasts three full-sized theaters: The Definiti, The Grainger Sky Theater, and the Samuel C. Johnson Family Theater – each feature a wide range of enticing shows the family will love. One of the highlights of the experience is the Doane Observatory, one of the only active research facilities to allow public access. Another Chicago staple founded in 1930, this nearly century-old attraction is sure to keep everyone busy for a few hours. The Shedd Aquarium is the original inland facility to have a permanent saltwater collection. The aquarium is home to over 1,500 types of creatures ranging from fish, to birds, to amphibians, to insects. This unique ecosystem with bring you through award-winning exhibits like the Amazon Rising – mimicking the Amazon jungle with all kinds of snakes, spiders, and tropical critters. 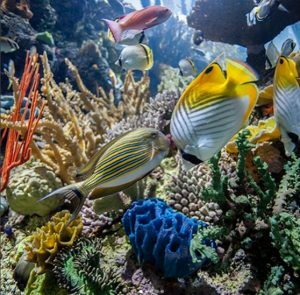 Also, be sure you check out the Wild Reef exhibit, which features a Philippine coral reef with a myriad of fish, sharks, and rays. In addition to the fascinating displays, one the best attractions of the Shedd Aquarium is the 4D theater. Equipped with a state-of-the-art sound system, the theater provides a full-on immersive viewing experience. Located in the same campus as the Adler Planetarium, the Shedd Aquarium is a must-see to include in your Chicago itinerary. It’s no secret that Chicago is one of the most Instagrammable cities in the United States. If you want to get some awesome pics while observing the city and all of its beauty, taking a boat tour definitely needs to be on your list. Other than during the dead of winter, there are cruise options available for the majority of the year. There is no shortage of tour types to choose from; architecture, history, and fireworks are a few of the most memorable ones. Each will show you the city and highlight what makes it so special. Chicago’s First Lady was voted the number one city tour line – based on TripAdviser reviews. Throughout the 90-minute cruise, the highly educated staff will show you the finer details of the city’s authentic construction. 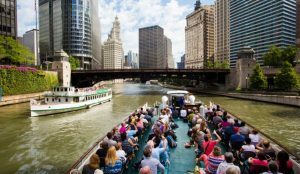 Taking a river tour will be a novelty experience of any family vacation to Chicago! One of the most innovative performing acts of our generation plays frequently in Chicago and is a fantastic way to spend an evening with the fam. The Blue Man Group is more than just a musical act. It’s a combination of creative percussion, comedy, visual arts, and audience interaction. There is truly nothing in the entire world quite like it! 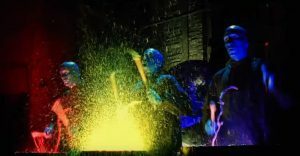 The Blue Man Group puts on their one-of-a-kind shows at the Briar Street Theater – near Wrigley Field. There are plenty of showtimes throughout the year to pencil into your vacation for a unique and unforgettable experience. 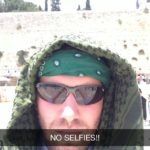 Don’t forget how difficult it can be to travel with your family. Especially for families with small children, it is extremely important to have everything from fun travel snacks to an easy travel crib that fits in a car. Stay positive: Kids don’t love every experience, but they will always love you! Need a few more ideas to make your travel in Chicago a bit more convenient? Check out this article on travel hacks for kids! 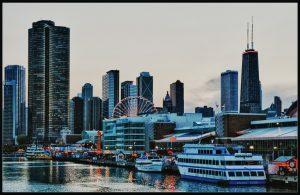 Chicago is one of the most family-friendly destinations in the United States. As the third-largest city in the country and pinnacle of the Midwest, it’s never too early to start planning your family getaway!